A generic name for man-made fibers and yarns from acrylic resins; acrylics are easy to wash; dry quickly, resist wrinkles, moths, and mildew, and has a high resistance to sunlight. However, with increased heat the fibers progressively discolor and decompose. Often used for sweaters and hosiery. Acrylic loves oil so such stains require special attention, generally removed with laundering. Wash cool, gentle agitation so (delicate cycle or hand). NO hot water or hot dryer – steam cleaning isn’t even recommended. Woven items can line dry knitted should be dried flat. Cool iron only. Type of yarn spun from an alpaca, a sheep like animal of the camel family, related to the llama, native to the Andes in South America; alpaca yarn is lustrous and shiny, similar to mohair. Alpaca is often used in sweaters, coats, gloves, scarfs and sometimes upholstery fabric. Soft yarn made from the under hair of Angora goat or rabbit. The fur fibers are usually blended with other fibers such as wool, silk, rayon or nylon and then spun. Loosely constructed, plain woven fabric made of Jute or other minor bast fibers. Originally considered a utility fabric for bags and sacks. Also called Hessian in Great Britain and Europe. Cross reference Jute. An extremely soft luxurious fabric made from the hair of the cashmere goat, native to Kashmir in northwestern India, Tibet, Turkestan, Iran, Iraq, and China; used in sweaters, suits, and overcoats. 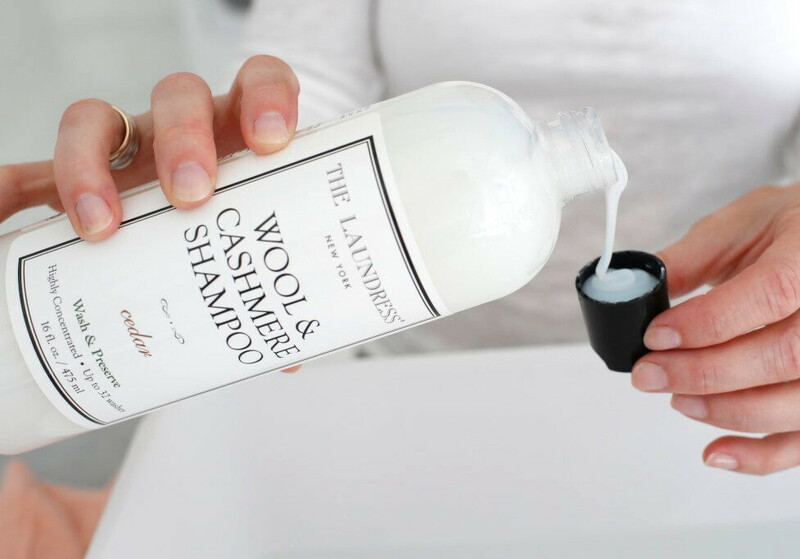 Cashmere is often blended with other wools, silk, cotton and lycra. We recommend laundering accordingly to the highest % of fiber content. Lightweight, smooth, semi lustrous, soft fabric with a crepe back. Made of cotton, silk, or man-made fibers and may be dyed or printed; used for dresses. This fabric is often confused with satin. Wash according to fabric content. Fabric made with fuzzy core yarns. Soft wool, silk, cotton, or rayon yarn with protruding pile. Popular in the 80’s in big sweaters now commonly used in upholstery fabrics. Wash according to fabric. A transparent and lightweight fabric originally made with silk now also made with man-made fabrics; nylon and rayon. Wash according to fabric. A durable cotton, firmly woven with a fine twill fabric. Once only dyed yellowish tan or khaki for the army now a common fabric vat-dyed in many colors. Not a print or fabric – chintz is a glaze or shiny finish applied to medium weight printed or plain fabrics: usually on cotton or linen. The glazed fabric is usually printed with a brightly colored pattern or base cloth. Chintz gives the idea of a water resistant but is not resistant to laundering. The glaze will wash off after a number of washing and drying cycles. A coarse fiber obtained from the husk, the fibrous outer shell of a coconut, used chiefly in making rope and matting. Commonly used in rugs. Ribbed cotton fabric; a heavy cotton fabric with a ribbed nap running lengthways. Please reference cotton on chart for washing instructions – however, avoid ironing as to not crush the ribbed nap. Soft white vegetable fiber from ½ to 2 inches long, which comes from the fluffy boll of the cotton plant, grown in Egypt, India, China, and southern U.S. Cotton is one of the strongest and most washable fabrics and makes removing stains easier. Cotton fabrics can withstand hot temperatures for washing and ironing. Fabric shrinks due to relaxation of yarn tension; however there is a maximum shrinkage. Highly resilient to degradation, however chlorine and oxygen bleaches over prolonged use will cause degradation. Strong acids degrade cotton fiber found in air pollutants etc therefore fine and antique articles should be stored in acid free paper and boxes. The fibers are damaged by fungi such as mildew and bacteria. Heavily starched items attract silverfish, therefore cotton items should be stored unstarched and unironed. Moths and beetles do not attack or damage cotton. Prolonged exposure to sunlight causes cotton to yellow and gradually degrade. Biodegradable and ecologically sound. A variety of fabrics use this term. Crepe satin, crepe georgette, wool crepe, etc. All fabrics are related as they have a slightly pebbly texture. Some made with crepe yarns others artificially with embossing or chemical application. Wash according to fabric. Comes from fluffy soft fibers under the feathers of water fowl i.e. geese and ducks. Often used in winter jackets, comforters, pillows and cushions. See The Laundress washing chart link below. Can be laundered in the washing machine and dried using the dryer. We recommend using the detergent can care corresponding with the outer shell material. Drying with tennis balls or clean shoes is recommended to deter clumping. Cross reference Fiberfill. Fancy needlework or trimming using colored yarn, embroidery floss, cotton, silk, or metallic thread usually done by hand. Wash according to fabric. One of the ways shrinkage can take place. Felting is unique to wool and other animal fibers. Felting takes place when a wool fabric is subjected to mechanical action when it is wet. The fabric is shrinks, but it also undergoes characteristic changes in its structure. The fabric becomes thick and the fibers are matted into closely-packed masses. The outline and character of the yarn pattern become indistinct, and the fabric loses much of its elasticity. Specifically, the tumbling or stirring actions of washing machines and any form of rubbing will cause felting. Some wool fabric felt more easily than others- a fluffy hand-knit sweater, for example, will felt more easily than a tightly-woven worsted flannel skirting. A class of materials that are continuous filaments or are in discrete elongated pieces, similar to lengths of thread. They can be spun into filaments, string, or rope, used as a component of composite materials. Generic term for material consisting of fluffy short fibers frequently made of polyester and used between two layers of fabric to make quilting, padding and blended with down. Will wash without mating. Good for people with allergies. Can be Laundered in the washing machine and dryer. We recommend using the detergent can care corresponding with the outer shell material. Vegetable or bast fiber from tissue between bark and woody fiber of a flax plant. Long fibers are called line linen and shorter fibers are called tow. Grown in Europe and Egypt. Flax becomes linen. Cross reference Linen. A waterproof/breathable fabric and a registered trademark of W.L. Gore & Associates. Gore-Tex materials are typically based on thermo-mechanically expanded materials. Gore-Tex is best known for its use in protective, yet breathable rain wear. Gore-Tex is washable. A tough fiber of a tall Asiatic plant of the nettle family. Resistant to insects but damaged by mildew. Sunlight effects Hemp the same way it does Cotton. Cross reference Cotton. A knitted textile made from cotton or wool and synthetics. Most common use of jersey is our basic t-shirt. Fabric is warm, stretchy, flexible and insulating. Cross reference Knit. A long, soft, shiny vegetable fiber that can be spun into coarse, strong threads. It is produced from plants in the genus Corchorus, family Tiliaceae. Jute is one of the cheapest natural fibres and is second only to cotton in amount produced and variety of uses. Jute fibres are composed primarily of the plant materials cellulose (major component of plant fibre) and lignin (major components wood fibre). It is thus a ligno-cellulosic fibre that is partially a textile fibre and partially wood. It falls into the bast fibre category (fibre collected from bast or skin of the plant) along with kenaf, industrial hemp, flax (linen), ramie, etc. Jute fibre is often called hessian; jute fabrics are also called hessian cloth and jute sacks are called gunny bags in some European countries. The fabric made from jute is popularly known as burlap in North America. A method by which thread or yarn may be turned into cloth. Knitting consists of loops called stitches pulled through each other. The active stitches are held on a needle until another loop can be passed through them. Knitting may be done by hand or by machine. Different yarns and knitting needles may be used to achieve different end products by giving the final piece a different colour, texture, weight, or integrity. Using needles of varying sharpness and thickness as well as different varieties of yarn adds to the effect. 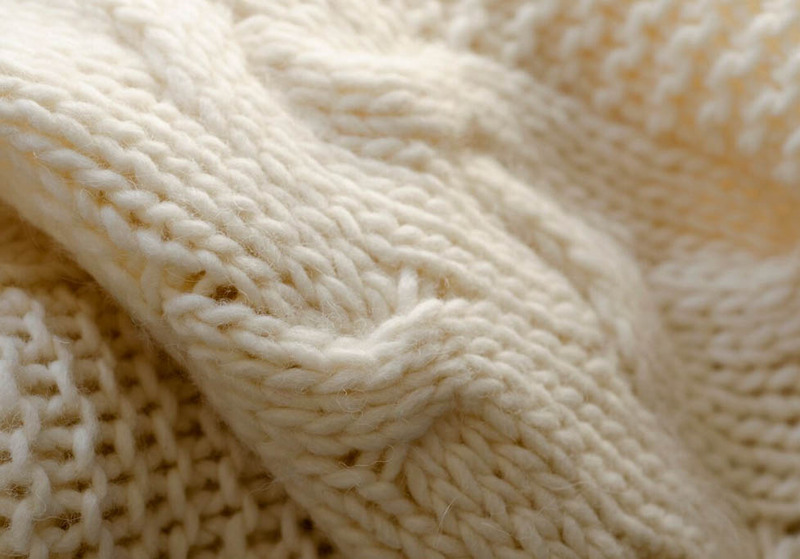 Knitted items especially hand or lose knit are most volatile to shrinkage and distorting. Less agitation and less heat are best for care; therefore handwash and air dry in shape. Wash according to fabric content. The hide of a sheep, also called lambskin or sheepskin. Lambswool is used to produce sheepskin leather products and soft, wool-lined clothing or coverings, including gloves, hats, footstools, and automotive seat covers. Fibers of a flax plant, used to make linen yarn. Fabrics made of linen yarns in many qualities and many weights which are cooler, stronger and more absorbent than cotton. Linen yarns are very strong and highly washable like cotton. Good quality linen gets better with washing. Do not dry clean. Biodegradable and ecologically sound. Reference Cotton for washing and properties. Also known as spandex, or elastane, a synthetic fiber known for its exceptional elasticity. It is stronger and more durable than rubber. The most famous brand associated with spandex is Lycra, is used to describe any kind of spandex. Lycra is a registered trademark of Du Pont. Fabrics are not composed entirely of Lycra, since only a small amount is need to provide stretch and recovery. When washing, follow our rule to wash accordingly to the higher fabric content. A fabric better known from its brand name Tencel. Made from cellulose or wood pulp, may be a mix of hardwood trees. Noted for its durability and strength. Natural fabric. Tends not to wrinkle, most require line drying. Wash according to delicates- do not use the dryer. Comes from an economically influenced breed of sheep prized for its wool. Merinos are known as having the finest and softest wool of any sheep. Wicking, odor resistant, breathable, temperature regulating, quick drying, lightweight, flame retardant, washable, soft, and comfortable and is regarded as one of the top performance fabrics used in the world for outdoor sports. Merino fibers have a complex structure with a hydrophobic exterior (water repelling) and hydrophilic interior (water holding). This makes fiber dry to the touch, yet wicking moisture away from the body at the same time. A bio-based fiber made by spinning reconstructed cellulose from beech trees. It is designed to dye just like cotton, and is color-fast when washed in warm water. Modal is essentially a variety of rayon. Textiles made from Modal are resistant to shrinkage and fading. They are smooth and soft, more so than mercerized cotton, to the point where mineral deposits from hard water do not stick to the fabric. Like pure cotton, modal is ideally ironed after washing. Hair of the Angora goat, course wiry yarn of mohair fibers popular for sweaters in the mid and late 60’s. Fabric made of 100% mohair or mohair and other fibers. The fibers must be indicated by the percentage on the label. For washing instructions, reference wool. Generic term for a man-made fiber made of long chain or synthetic polymides extracted coal and petroleum. Also known as the “strong man” fiber qualities include silky hand, strength, crease resistance, washability, and resistance to mildew and moths. It can take an enormous amount of rubbing, flexing, scraping without wearing away. It is susceptible to degradation by weak acids and sunlight. Generic name for man-made fibers made of ethylene glycol and terephthalic acid (PET) which includes naturally occurring chemicals. Natural polyesters and a few synthetic ones are biodegradable, but most synthetic polyesters are not. Polyester is generally shrinkproof, retains shape and is wrinkle and moth resistant. While combustible at high temperatures polyesters tend to shrink away from flames and self-extinguish upon ignition. Polyester fibers have high tenacity as well as low water absorption and minimal shrinkage in comparison with other industrial fibers. Polyester fabrics are claimed to have a “less natural” feel when compared to similarly-woven fabrics made from natural fibers. Yarns are knitted or woven, often in blended fabrics with cotton or rayon. A coarse fiber, ramie fabric is pure white and silk like in appearance. Ramie does not have the fineness and softness sought in fabrics for apparel and interior uses, thus are usually blended with cotton, flax, silk, and some manufactured fibers. Ramie fibers are currently found in the United States in a wide variety of imported apparel items, especially sweaters, shirts, blouses, and suiting. The plant from which ramie fiber is obtained is a tall shrub from the nettle family that requires a hot, humid climate for growth. It grows primarily in the People’s Republic of China, the Philippines, and Brazil. A manufactured regenerated cellulosic fiber. Because it is produced from naturally occurring polymers, it is neither truly synthetic fiber nor natural fiber, it is a semi-synthetic fiber. Rayon is known by the names of viscose rayon and art silk in the textile industry. It usually has a high luster quality giving it a bright shine. Rayon weakens while wet so it must be laundered properly- delicate cycle or hand wash, low/no heat, lay flat or hand to dry. Light/low heat pressing or steamer. Can attract silverfish. Also see VISCOSE RAYON. A smooth, lustrous silk fabric woven with floating yarns in the warp in many variations. Made of silk, rayon, acetate, nylon, or combinations of these yarns. Wash according to fabric content. A smooth, glossy cotton fabric made in the sateen weave with floating fillings on the right side, given a lustrous finish. Sateen or satin weave is commonly used in bedding. For washing instructions, reference cotton. A natural protein fiber, some forms of which can be woven into textiles. The best type of silk is obtained from cocoons made by the larvae of the mulberry silkworm Bombyx mori. The shimmering appearance for which silk is prized comes from the fibers triangular prism-like structure which allows silk cloth to refract incoming light at different angles. Silks are produced by several insects, but only the silk of moth caterpillars has been used for textile manufacture. Silk fabric was first developed in ancient China, possibly as early as 6000 BC. A generic term for manmade fibers composed largely of segmented polyurethanes, which is stretchable, lightweight, and resistant to body acid. Cross reference Lycra. A term used for a classification of crisp fabrics with a fine, smooth surface usually made in the plain weave, sometimes with a small cross weave rib. Originally made in silk, now more commonly made with man-made fibers. Wash according to fabric content. An absorbent fabric made in the pile weave with uncut loops and a background weave of plain or twill. Usually made in cotton but now also made with man-made yarns. Sometimes woven in plaid, dobby, or jacquard patterns. May be yarn-dyed, bleached, piece-dyed, or printed. For washing instructions and reference Cotton. A 60% polyolefin, 40% polyester microfilament insulation providing warmth equal to down or polyester insulation of close to twice the thickness. Does not absorb water. Wash according to fabric content. A man-made fiber made from regenerated cellulose. Differ from acetate in that a much higher percentage of the cellulose has been acetylated- not less than 92%. Used particularly for knitted fabrics which have elasticity with good return, are easily washed, dry quickly, and need little or no pressing. Does not wrinkle easily. Acetate or triacetate is also further identified as acetate rayon or just rayon or viscose rayon. Fine sheer net fabric made of silk, nylon, or rayon with hexagonal holes. Wash according to fabric content. Soft, velvety thick pile originally made with all wool yarns now made of various fibers and yarns. Think warm-up suits. Wash according to fabric content. Textile term applied to several fabrics made from various fibers in different weights. These are cut and brushed to form a pile or left uncut. Originally velvet was made of silk but now is made with cotton or man-made fibers. Wash according to fabric content. Man-made material that is non-porous plastic, tough, flexible, shiny, elastic, and can be transparent. Used for fabric coating and to produce materials resembling leather for boots, gloves, shoes, etc. Vinal fibers are used because of its flame resistant properties such as childrens sleepwear. Also resilient to insects and microorganisms. Oddly, vinyl fibers and vinyl copolymers shrink in perchlorethylene (the most common solvent used in dry-cleaning). Thus launder. A manufactured regenerated cellulose fiber produced from naturally occurring polymers. It is neither a truly synthetic fiber nor a natural fiber, it is a semi-synthetic fiber. Rayon usually has a high luster quality giving it a bright shine. SEE RAYON. NOTE: “Viscose Rayon” is the most volatile construction because it becomes weak when wet and is the least predictable fabric. Lightweight open weave fabric made of tightly combed yarns giving it a grainy feel. Originally made of cotton but now popular in blends of cotton/polyester. Wash according to fabric content. Refers to technical fabrics that move sweat away from the skin to the outer surface of the fabric, where it evaporates. The fiber derived from the specialized skin cells, called follicles, of the animals in the Caprinae, principally sheep. The hair of other mammals such as goats, llamas, rabbits, and keeshonds may also be called wool. Wool is crimped, it is elastic, and it grows in clusters. Because of the crimp, wool fabrics have a greater ability to retain air than other textiles, which causes the product to retain heat. Insulation works both ways. Fabrics in which two or more sets of yarns are interlaced at right angles to each other. There are eleven structures or types of fabrics that fit into the woven category—plain-woven, twill, satin, leno, crepe woven, dobby, jacquard, pique, surface-figure, pile woven, and double-woven. Wash according to fabric content. Textile term for fibers twisted together tightly enough for weaving purposes. The two basic types are a) staple yarn made from short fibers, ie. Cotton or wool carded to lay parallel, then twisted; b) continuous filament man-made yarn comprised of strands of indefinite length used singly or several filaments twisted together. Wash according to fabric content. Describing fabric that is woven or knitted from yarns already dyed rather than gray goods dyed after weaving, ie. Checked gingham, striped chambray, and any tartan. Wash according to fabric content. Mankey Caalasibetta, Charlotte, Ph.D. Fairchild’s Dictionary of Fashion. New York: Fairchild Publications, 1988. Lyle, Dorothy. Performance of Textiles. John Wiley & Sons, Inc, 1977. Cook, J.Gordon, II. Handbook of Textile Fibres. Natural Fibres Merrow Publishing Co, LTD, 1984. Cook, J.Gordon, II. Handbook of Textile Fibres. Man-Made Fibres Merrow Publishing Co, LTD, 1984.